Another view of the impressive Highland Coo bossing the hills at Kilchiaran, this time with a small murmuration of Starlings flying past. While I haven’t really seen the large murmurations other places are known for (e.g. Otmoor in Oxfordshire, England) on Islay, I still think these smaller ones are fun to watch as they wheel around. 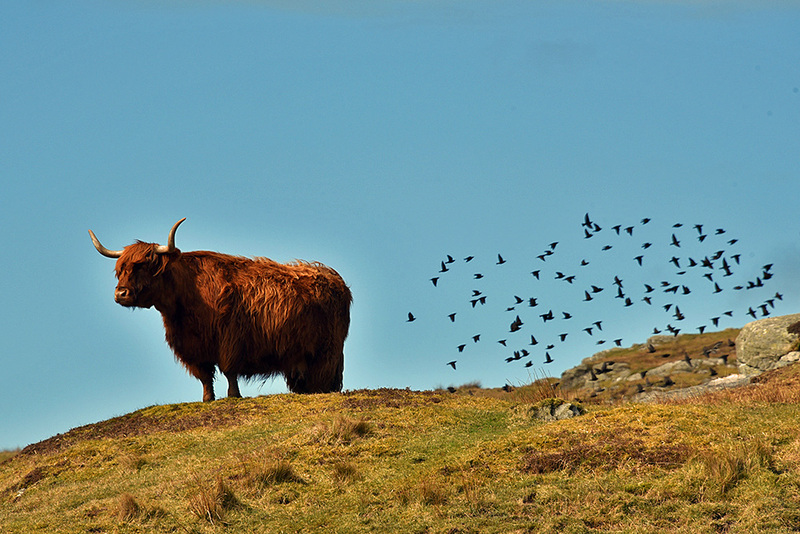 This entry was posted in Landscape, New Post, Sunny Weather, Wildlife and tagged cattle, Islay, Kilchiaran, starlings by Armin Grewe. Bookmark the permalink.